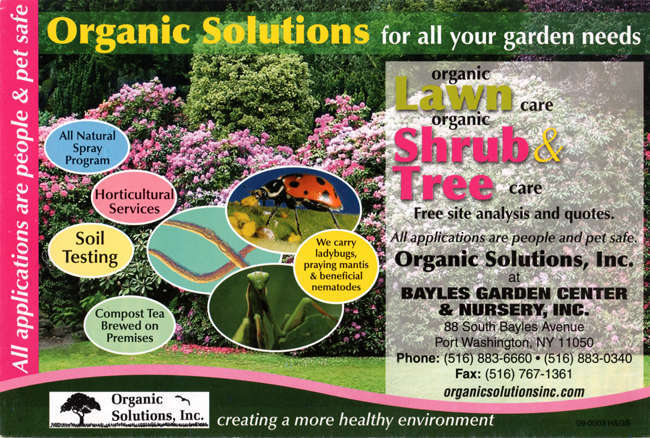 ORGANIC SOLUTIONS INC:: Organic Lawn Care and Organic Tree and Shrub Care. All natural. People and Pet Safe. CALL 516.883.0340 for more information.